The world watched as yesterday, Steve Jobs took to the stage for an impromptu Apple Press Conference, explaining the issues surrounding the recent iPhone 4 launch and the associated problems with its unique antenna design. 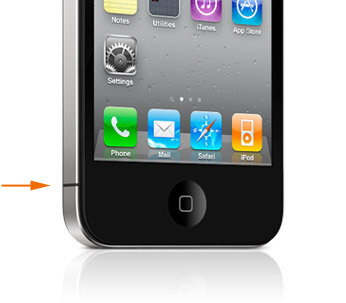 Admitting that the iPhone 4 signal problem was an error on Apple’s part, Jobs attempted to deflect some of the attention away from the Apple device, calling into question the designs of all major mobile handsets, suggesting that both RIM and Nokia handsets would also lose signal when held in a specific way. 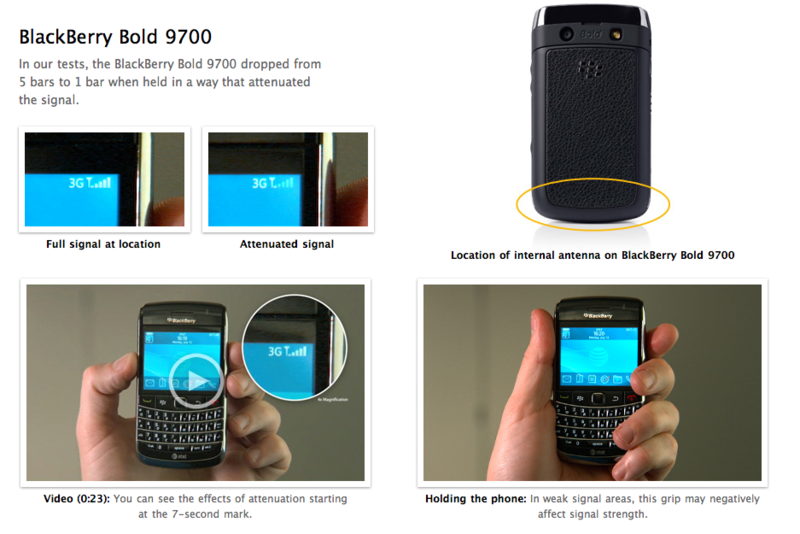 Apple even listed RIM’s Blackberry Bold 9700 on a dedicated antenna page on its website, highlighting ways to compromise signal quality on the Blackberry device. Unsurprisingly, RIM and Nokia decided to have their say – afterall, RIM had a product to defend and Nokia a reputation to uphold. What’s interesting to note is Nokia’s statement seems to validate Apple’s claims of reduced performance when a device is held in a specific way, although RIM quite rightly points out flaws in Apple’s suggestions. At the end of the day, HTC, Samsung, Nokia and RIM products don’t need a case to alleviate signal issues with their devices. Apple’s attempt to deflect the attention from its own products has quite rightly hit a raw nerve amongst manufacturers and frustrated customers – although they do get a free bumper case for their troubles.